Is anyone listening to the guest? 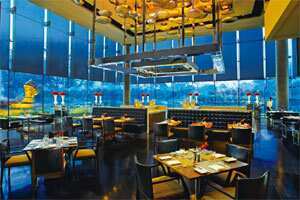 It was 12.45 when I walked into the new Leela in Delhi to check in. I had scheduled a business lunch at the hotel’s Qube restaurant at 1pm and was worried I’d be late. All I wanted to do was go to my room, drop my bag, wash my face and get to the restaurant in 10 minutes. I said as much to the smiling young lady who came to greet me. “Sure, ma’am. Please sit down and make yourself comfortable. I’ll get the check-in form." The hospitality industry spends countless hours training employees to act on certain principles: enhancing guest experience, prompt delivery of services, warm welcomes and goodbyes, among others. Consistency is key. So they embrace rules and uniforms. Always welcome a guest this way; always ask a guest these questions; always wish them a warm goodbye. The challenge for those in the service sector is to train employees not just to deliver service consistently, but also to discern and act on unusual requests, both stated and unstated. A man checks in with a headache and doesn’t want to be escorted to the room; he wants to go to the spa. A woman with low blood sugar comes in with one pressing need: food. How to get her to ask for it, and even if she does, will the front desk staff stop the check-in formalities to run to the restaurant and get bread? These are not crises, but the way the hotel staff intuit and respond to these needs will enhance or diminish the experience for that particular guest. For this, hotels have to teach their employees not just consistency but also flexibility. Rather than impose a uniform welcome for all guests, receptionists have to customize. And customization involves figuring out guest needs at that moment in time by looking and listening, something that is hard to do in a busy hotel. Listening is a key skill for all hotel employees, and it can be taught. For example, hotels could institute a simple rule. Any staff member who welcomes a guest should not leave the guest’s side for the first 5 minutes. That’s all it takes: 5 minutes. It’s no use asking the guest to “be comfortable" and then walking away, even if it is to get the check-in form. If you want to delve into psychology, you could call this “fear of abandonment". We all have it, and it influences our behavioural responses, ranging from how we react when a spouse walks out in the middle of a quarrel to why we keep asking the doctor questions so that we can keep him near our bedside. Hotels, spas and restaurants can factor in this fear of abandonment into enhancing the guest experience. Some spas do this. The massage therapist is instructed to keep her hand on the guest’s body at all times, even when she is walking around to the other side of the table. Similarly, hotels can give their front desk staff a simple diktat: Do not, under any circumstances, walk away from the guest in the first 5 minutes. That’s all it takes to draw out the guest and get a measure of his state of mind. Is he tense? Is she in a hurry? Do they have a specific need that needs to be addressed? Rather than instructing each guest to sit down and “be comfortable" (how I hate that phrase), the staff should be taught to converse with the guest and find out their psychological state of mind. This can have dramatic effects on the guest experience. I stayed at The Leela Palace anonymously in July, paying what was then the standard rate of ₹ 13,963 per night. It was a fine experience, except at the beginning and the end. I enjoyed my lunch at The Qube. The salads from Egypt, Morocco, and all over the Mediterranean were fresh and beautifully presented in small plates. A butterfly danced on the glass wall that separated the restaurant from the garden. The tables were nicely spaced and two of the long tables were full of Punjabi ladies who lunched and then paid with wads of cash. The cutlery was stylish, yet easy to handle. The nouveau Indian music—sitar and drums—was at the correct volume. The staff was uniformly courteous, with nary a misstep. I am conflicted about this hotel’s decor. I like that they don’t conform to the minimalism that has taken over the world. I like that they use what architect Rahul Mehrotra calls “local assertions" in their design. I like their Kovalam property’s pared down “assertions" most. But ornamental Indian isn’t for me. The Leela Delhi aesthetic is maximalist with baroque overtones: gilt-edged mirrors, crystal chandeliers, large potted (plastic?) plants, carpets with a faintly Aubusson touch, and flowers everywhere. The liftman told me that the hotel buys 3,600 roses daily. They are arranged artfully all over the hotel. The wood-panelled Club-level floor is stunning. I loved the self-designed wallpaper and upholstery; and the antique prints and photographs that are framed off-centre: a simple idea but so very chic. When I checked out, I got a rude shock. I had booked for two days through a travel agent and then cancelled the first night. The hotel insisted on having me sign a credit card payment for the first night as a “pre-authorization". The duty manager, Varsha, said she would do her best to waive the charge, but it took two weeks and two emails for it to happen. I can understand hotels doing this during peak season, but The Leela wasn’t full. The hotel eventually returned the money, but the damage was done. Next time, I’ll be more careful when I book The Leela because they don’t allow me to be flexible.